There will never be a more extraordinary day than your wedding day. The music, the flowers, and the food – simply nothing less than perfection will do. We, at Portland Catering Company™, understand. We have the knowledge and experience it takes to make your day the very best it can be. It all begins with the planning and you can rely on us to help you every step of the way. We can help you decide upon a menu. We are pleased to offer you an extensive array of pre-arranged menu selections. Or, if you wish, we can work with you to develop a menu that’s more personalized. Special requests are, of course, always welcome. Portland wedding catering services are our specialty. Please call to inquire about our wedding tasting events where you can sample our cuisine. This is your special day. 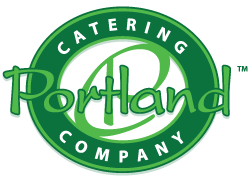 So, relax and enjoy – and leave the rest to us at Portland Catering Company™.